Let your property speak for your business! 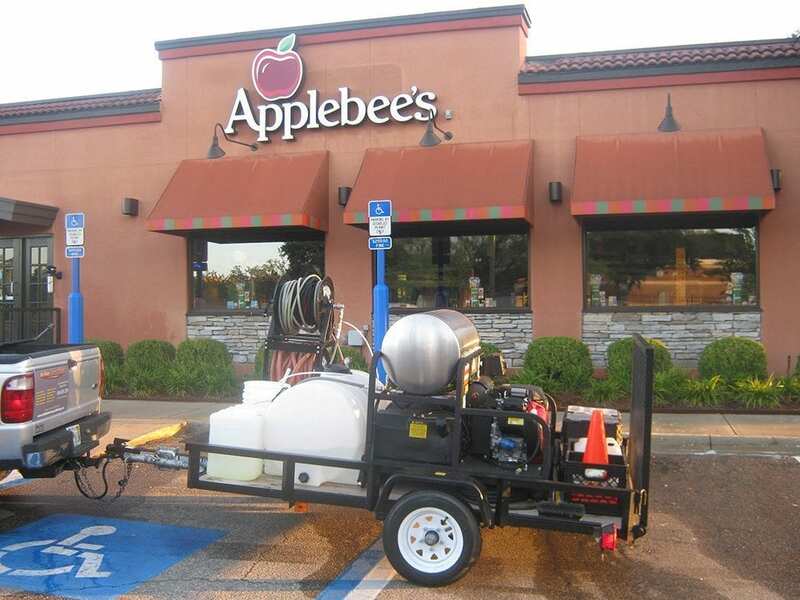 Hot Water Pressure Washing & Soft Wash is the source for commercial building washing solutions that support the reputation, growth, and first impression of our customers. Virtually every part of your property needs maintenance. Whether it’s carpets that need vacuuming or windows that need cleaning, keeping on top of upkeep is essential to the quality of your investment – and the image that it gives off to the rest of the world. 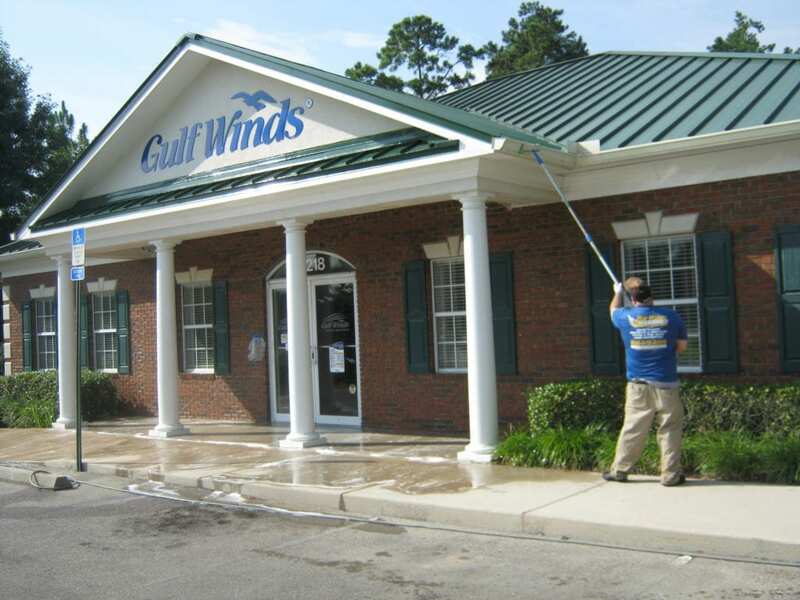 With Hot Water Pressure Washing & Soft Wash, your building exterior is guaranteed to be an asset to your business and a long-term benefit to the value of your property. Use pressure washing or soft washing. Depending on the material of your exterior, we’ll come up with a cleaning regimen that protects the quality of the surface and ensures the most transformative result. Integrate top quality cleaners. All of our detergents are environmentally responsible and go tough on the biggest stains out there. Restore curb appeal. Dirt, bacterial growth, and other grime are no match for our team. We have the capacity to clean, brighten, and transform your surface. Maintain a convenient service. We strive to provide the least amount of interruption to our clients. 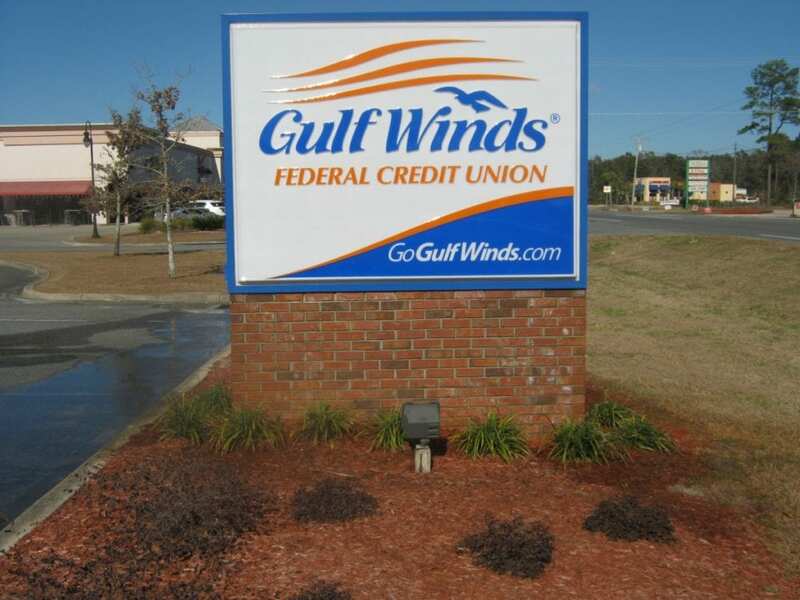 Whenever possible, we’ll schedule our building washing outside your business hours. When you’re aiming to impress, curb appeal is king. The technicians at Hot Water Pressure Washing & Soft Wash are here to ensure that all of our clients have the power washing and soft washing success they need to flourish.